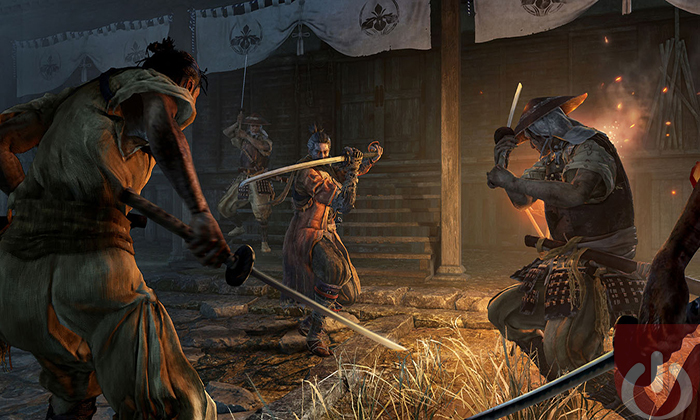 Sekiro is bit a of departure from what we’ve come to expect from FromSoftware. Not so much in the setting and characters but in the lack of RPG elements. There will be no collecting of “souls” and such. Instead, the focus will be on restructuring Sekiro’s prosthetic arm – he loses it in a battle at the beginning of the game – with different tools and gadget, unlocking new actions/abilities. He’ll also learn new Sword Arts that allow different ways to approach any given encounter. Because there is no soul-based upgrade system, there isn’t a harsh penalty for dying. On the contrary, death can provide an opening for the player to dispatch tough foes. By properly enacting a resurrection technique, players will be able to choose when and how they respawn; resurrecting at the right time might allow them to attack an unsuspecting opponent. I’m sure this type of setup will annoy some of the “get gud” Soul’s players out there. Personally, I think it’s a rather interesting mechanics. We’ll have to wait till March 22nd, 2019 to see whether Sekiro: Shadows Die Twice is all its cracked up to be. In the meantime, keep it locked her for more gaming related news! Sekiro: Shadows Die Twice is coming to the Xbox One, PS4, and PC.